CLEMSON, S.C. -- It's easy to underestimate the enormous amount of work and dedication it takes to complete the Reserve Officers' Training Corps program at a top-tier university. 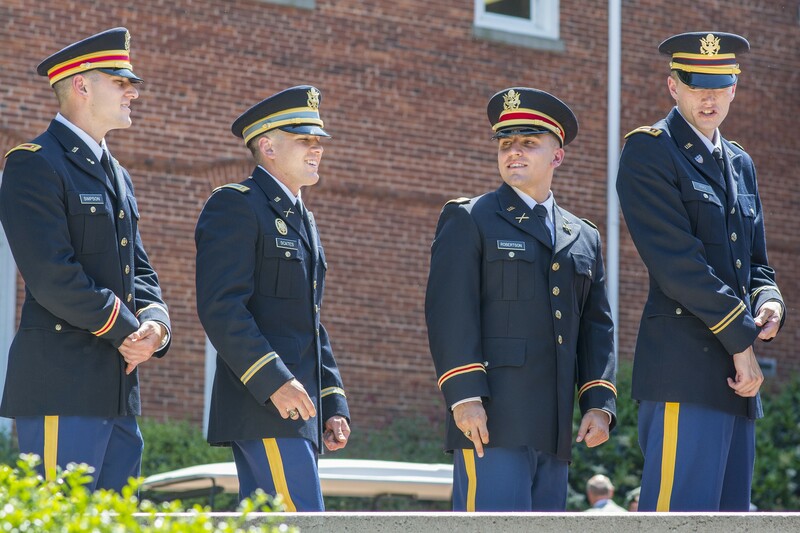 Cadets have to complete all required Army training to become officers while at the same time meeting the demands of their academic majors. Finishing with a rank and a degree is a huge accomplishment. 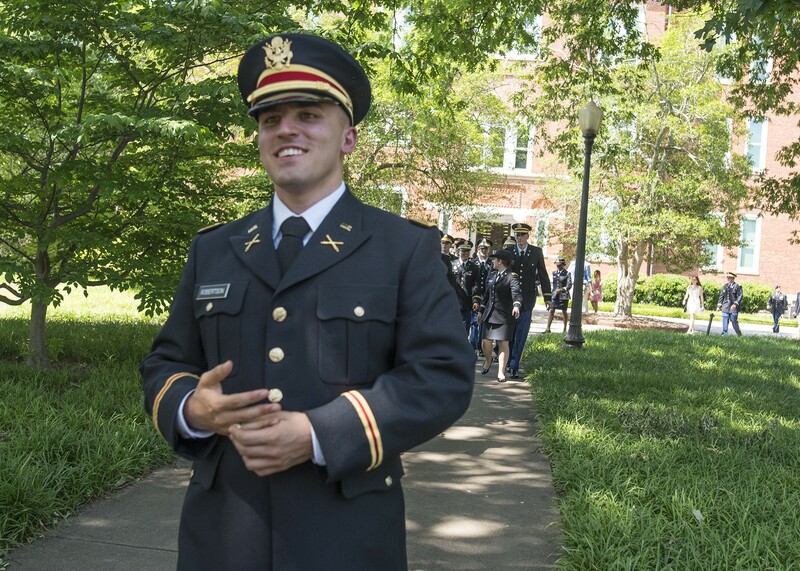 Clemson University ROTC cadet Allen Robertson decided he could do one better: He would become a U.S. Army officer and an engaged man on the same day -- in fact, within the same hour, May 10, 2017. 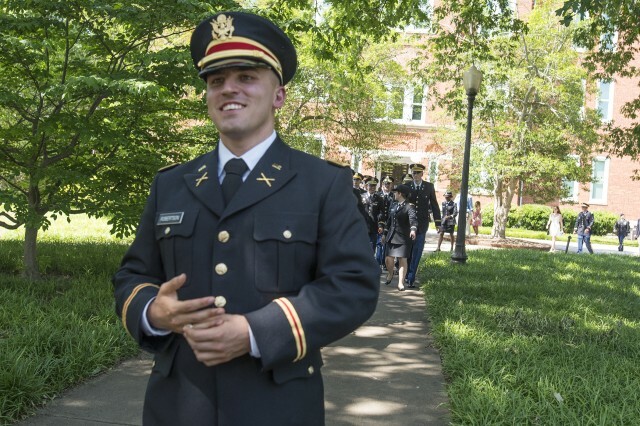 As the end of his last semester of college was approaching, Robertson, an accounting major from Mooresville, North Carolina, reveled in the fact he would be leaving Clemson with second lieutenant bars on his shoulders - but if he was going to be the best Soldier he could be, he needed to bring something else with him to his first duty station -- or rather, someone else: Chelsea Campbell, a fellow Clemson student and the love of his life. Mutual friends introduced the two in September 2016, and within a few short months Robertson knew he wanted to spend the rest of his life with her. "It didn't take too long," he laughed. 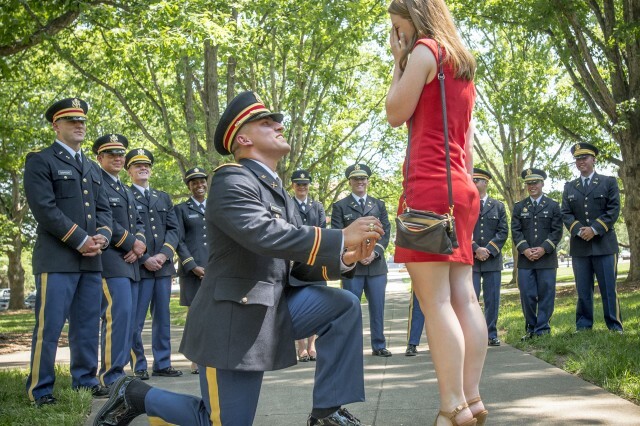 Robertson orchestrated a plan to lure Campbell to her favorite spot at Clemson -- a park in the middle of campus covered by a lush green canopy of trees -- after the ceremony. He enlisted the help from 15 fellow commissioned officers, and used the ruse that a photographer wanted to get a group photo of them all out of the bright sun, in the shade of the trees. 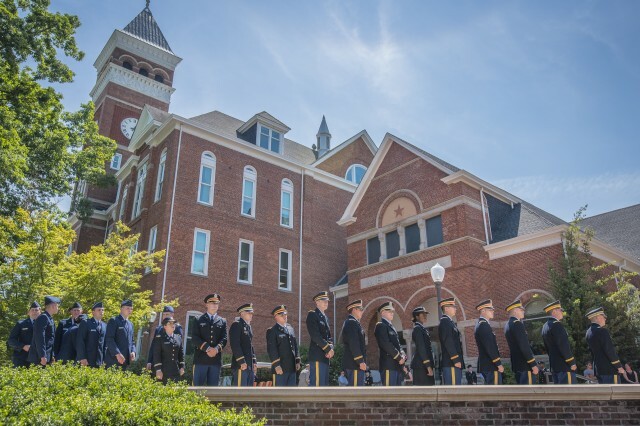 The commissioning ceremony ended and each cadet received their first salutes as officers one-by-one in the traditional Silver Dollar Salute ceremony at Clemson's Military Heritage Plaza. Then, Robertson's second big moment of the day was ready to happen. 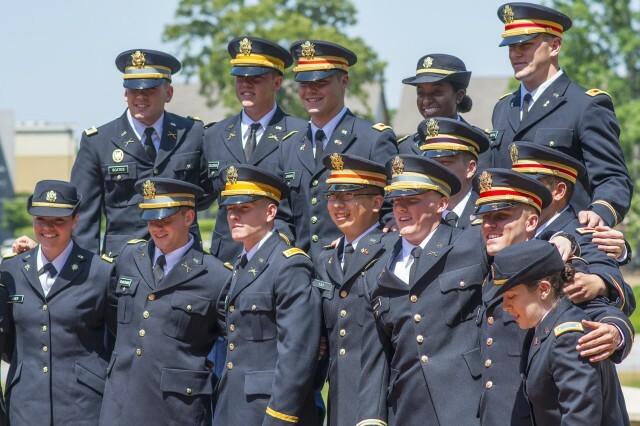 All 15 new Army second lieutenants took the short walk over to the park and arranged themselves in a semi-circle. They took a few group photos, just to complete the ploy, and then Robertson asked Campbell to join him in front of the group. 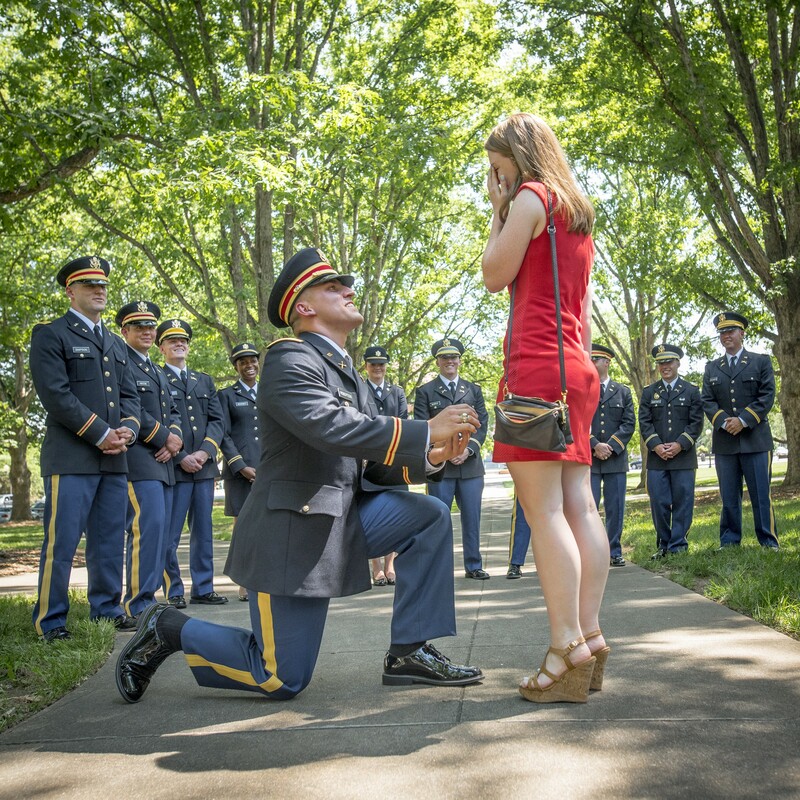 Fortunately, she complied, and he got down onto one knee and popped the question. Her answer, after a moment of gathering herself, was an enthusiastic yes. Scott Campbell, Chelsea's father, could not hold back his tears as he watched his daughter and her boyfriend take the next huge step in their life together. "I'm proud in every way, shape and form," he said. "He's a great guy. They'll be going on to Fort Campbell where Chelsea will get her masters and he'll be protecting our country. They've got my blessing." Chelsea's mother, Jessica Campbell, only had one thing to say about her new son-in-law-to-be: "We love him." 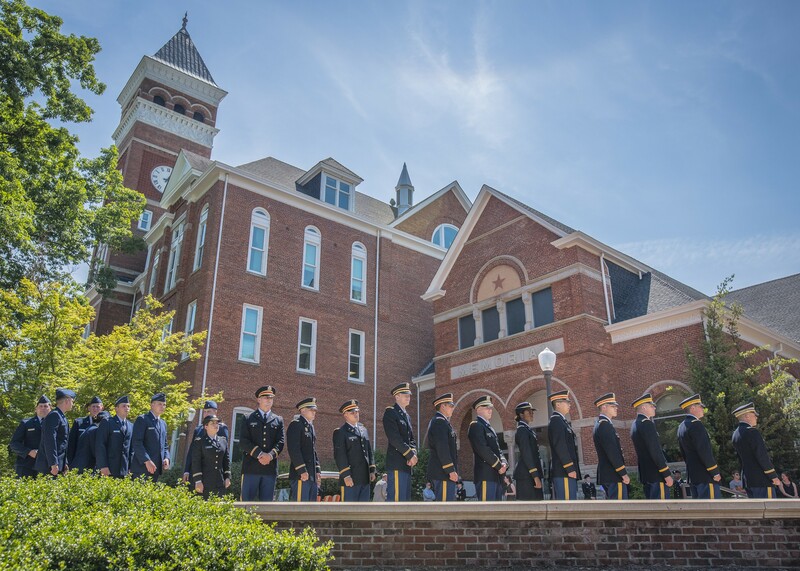 Since Clemson University began classes in 1893, the value of a solid military force has been a major part of its education. 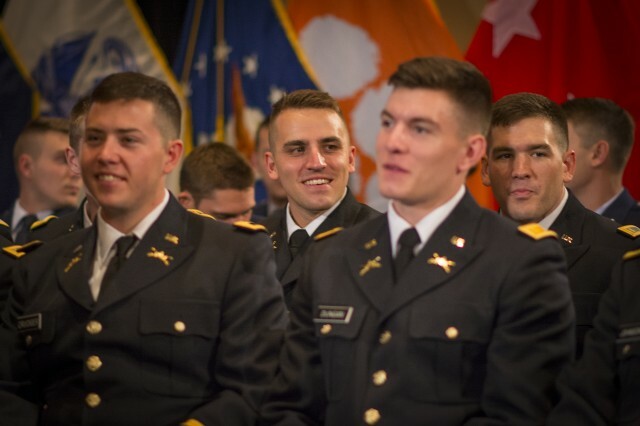 It has been said that Clemson supplied more Army officers for World War II than any other institution except West Point and Texas A & M. Clemson once had the largest infantry ROTC unit in the country. 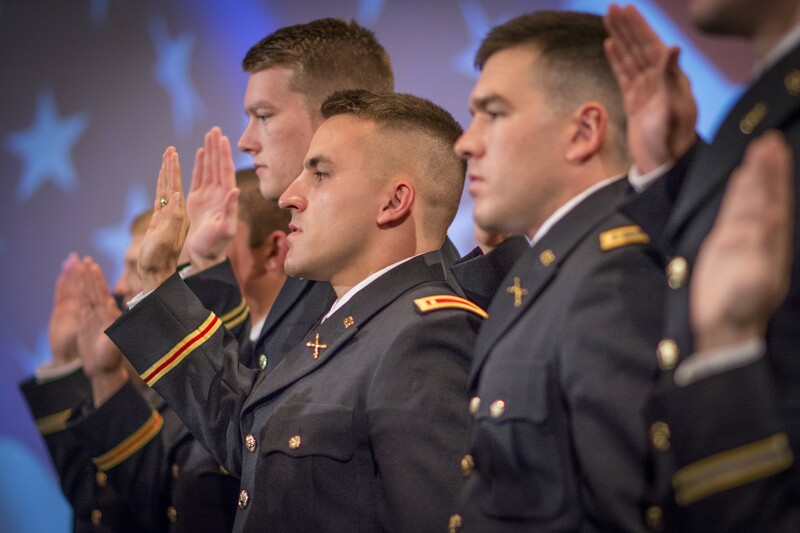 The Army ROTC, as it exists today, began with President Woodrow Wilson signing the National Defense Act of 1916. 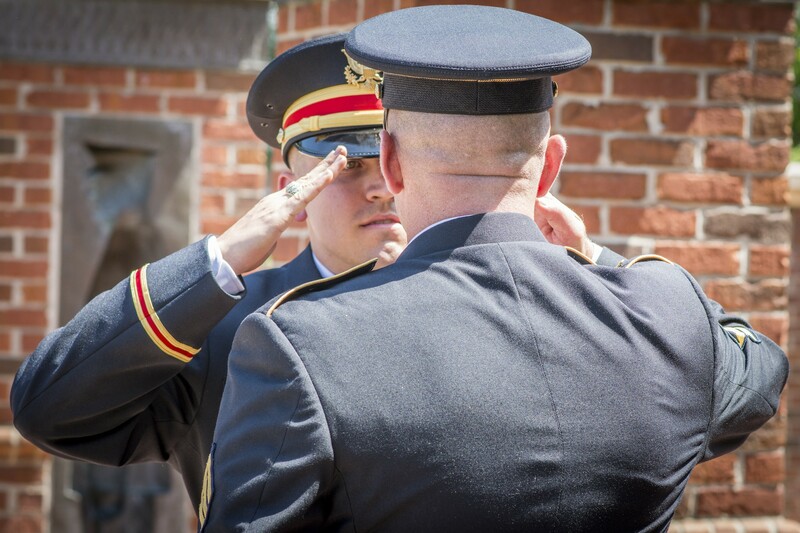 Although military training had been taking place in civilian colleges and universities as early as 1819, the National Defense Act brought this training under single, federally controlled entity. The Army ROTC produces more officers than any organization in the military, having commissioned more than half a million second lieutenants since its inception.